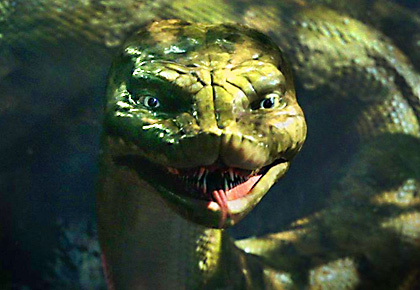 Rediff.com » Movies » Is Kareena appearing in Naagin 4? Is Kareena appearing in Naagin 4? Not really, but she is lending her voice to a snake. 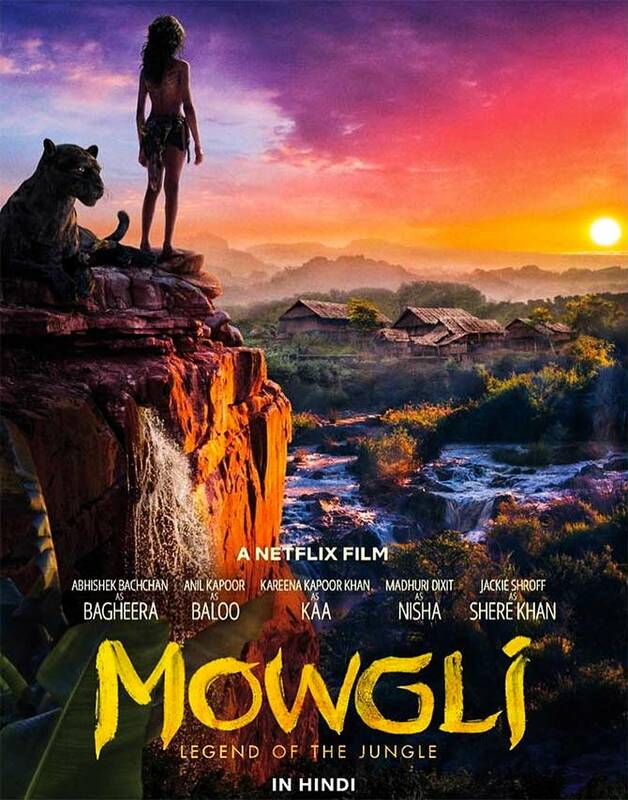 The Hindi version of Netflix's upcoming fantasy drama, Mowgli: Legend Of The Jungle, directed by Andy Serkis, gets a starry touch. Bollywood's stars have been roped in to lend their voice to the much-loved tale's iconic characters. 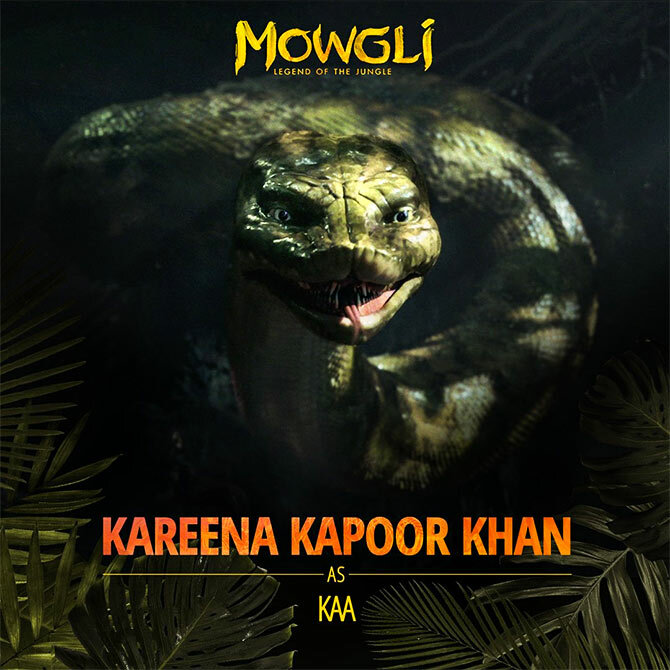 Kareena Kapoor is the slithery Kaa, determined to make a meal of Mowgli. 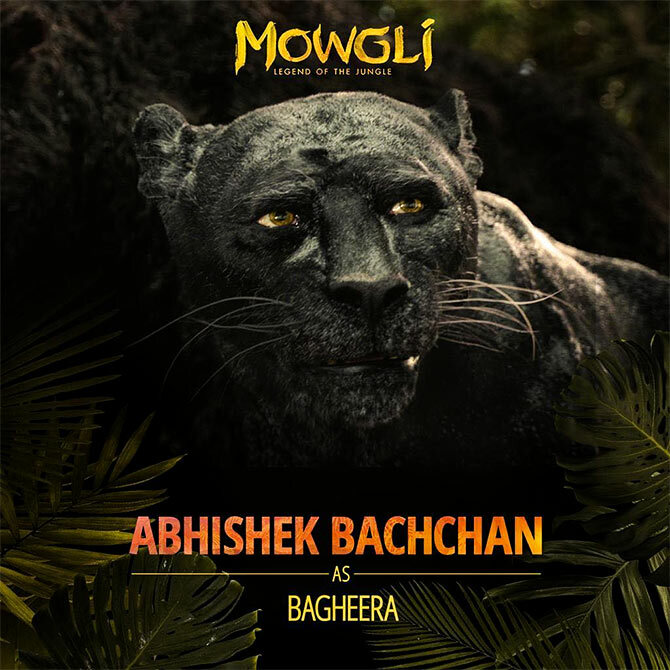 Junior Bachchan is the responsible and much-harassed Bagheera. 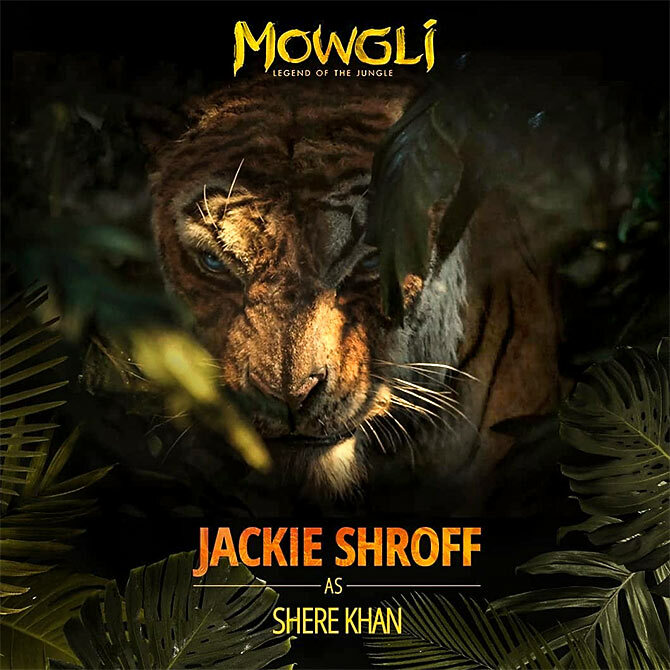 The Ram Lakhan co-stars, Jackie Shroff and Anil Kapoor, also joined the cast. 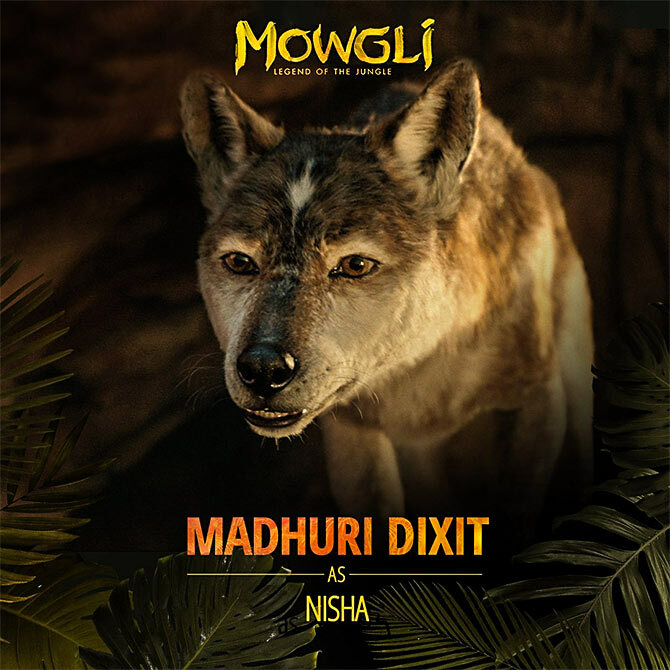 Madhuri Dixit Nene is the wise Nisha, Mowgli's wolf mother. She has played Nisha before... at that time, she was younger, peppy and the girl Salman Khan fell in love with in Hum Aapke Hain Koun..! 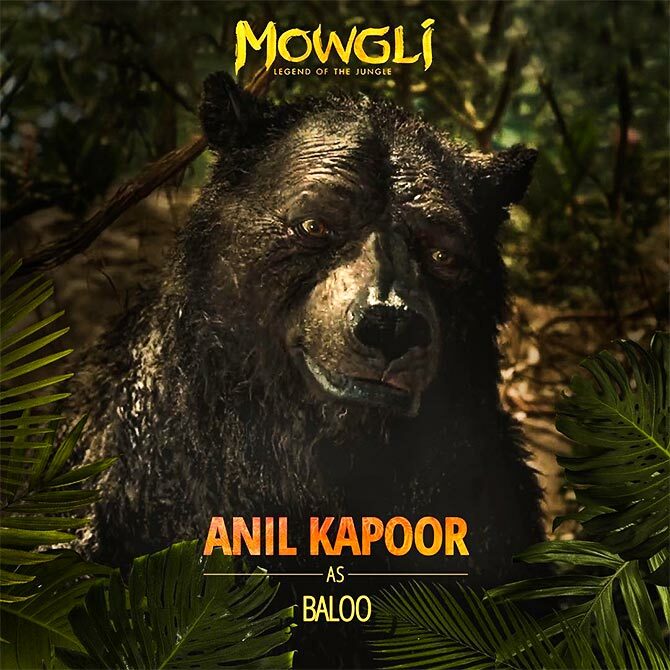 Will this Mowgli be as lovable as the 'Chaddi pahanke phool khila hai' version we saw many years ago on our telly screens or will the Netflix version be darker? What do you think of Elli AvRam's Chamma Chamma?